Gail and Mike live In Sodus Point, NY (near Rochester and on Lake Ontario) most of the year and have a winter home on Pine Island in Florida. They both lost our spouses to cancer several years ago, met in 2007 and married in July of 2008. Between them, they have 5 children and 11 grandchildren. They live in NY, NC and MD, so travel a lot. They’re both water oriented, with power boating and sailing as major interests. Mike is a retired Eastman Kodak manager, with a career focused largely on R&D and manufacturing. 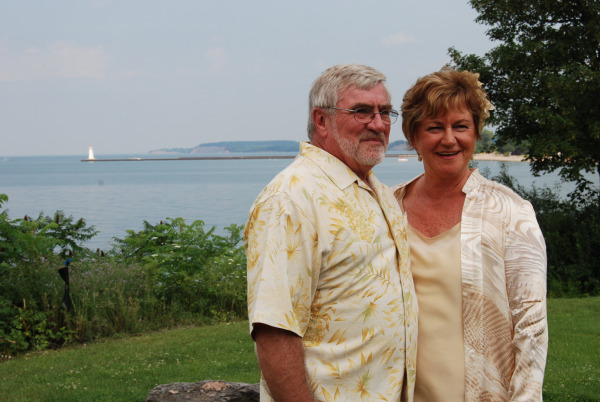 He has been Mayor of the Village of Sodus Point for 9 years, which prevents retirement boredom. Hobbies are grandchildren, gardening, reading and boating.